Isn't that what you have been looking for? The first contact many of your customers have with your company occurs over the telephone. At Answer National we understand how important it is to create a good first impression. We may have state-of-the-art equipment using the latest technology but we are sure to never forget that there really is no substitute for a warm and friendly voice on the line to make your callers feel welcome. Our caring and attentive staff will provide you with the service you expect - all at rates to fit any budget. Please call us toll-free at any time for a free, no obligation consultation. Welcome to our website! 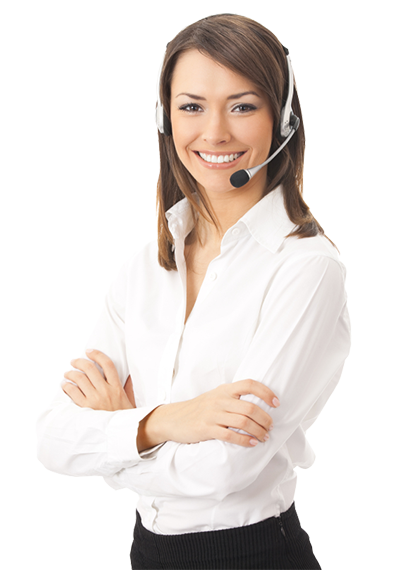 If you are searching for a quality answering service or messaging service then you have come to the right place. There are a lot of telephone answering service options out there, some of them pretty good, some of them, maybe not so good. Inbound call center prices are all over the place and some rate plans just don't make any sense. Well, we are not going to try to fool anybody with complicated rate plans for our telephone answering service. We realize that you have a lot to consider when choosing a live national answering service, but in the end, we can deliver great service at a great price isn't that what you're looking for? Welcome to our website! If you are searching for a quality messaging service then you have come to the right place. There are a lot of services out there, some of them pretty good, some of them, maybe not so good. Prices are all over the place and some rate plans just don’t make any sense. Well, we are not going to try to fool anybody with complicated rate plans. I realize that you have a lot to consider, but in the end, we can deliver great service at a great price – isn’t that what you’re looking for? So, why should you choose Answer National? Well, for one thing, we are not going to ask you to sign any long-term contracts. Every client we have is here because they want to be. Why should you be stuck with a service if you are not happy? If you should decide to leave our service at some point, just let us know. We have only a three month minimum requirement with a 30 notice provision. There are no cancellation fees and no early termination fees because there is no long-term contract. We do not outsource your calls overseas, we do not re-sell your traffic to another service and we do not use any “work-at-home” operators. Never. All of your calls will be answered by our staff, on-site where we can properly supervise them. Do you want your calls answered by a work-at-home operator in an unprofessional environment, on a home computer that may or may not be compromised? Probably not. I know that some of you may not know how many calls to expect, and so don’t know which rate plan to choose. You are not alone. That’s why we make it easy to start with one rate plan and then, if need be, adjust as you go along. All you have to do is call - we’ll find you a better rate plan, all without any administrative fees or charges. You may even want to start in one of our "Super Simple" rate plans. Give us a call at 1-800-440-3310 to see if you qualify. We bill monthly, that is twelve times per year, whereas some other services bill on a twenty-eight day cycle, which is thirteen times per year. We’re not going to try to sneak that extra invoice in there. We’re also not going to charge you a whole bunch of hidden fees, surprise add-ons, holiday fees and so on. Sure, we pay our staff overtime for working on holidays, but we don’t pass that cost directly on to you. We are large enough to be able to afford some of the best equipment and software available anywhere, and we house it in a very stable environment. We have clients all across North America and beyond, yet we still know most of them by name. From the smallest start-up companies to large corporations and household names, we treat all of our customers the same – with respect. Give us the chance to earn your business. Choose Answer National with confidence. We’ll make it easy, we’ll make it affordable. So, for straight answers to all your questions, please call - you’ll be glad you did.